This idea didn't come from me. It has been borrowed from a teacher I worked with years ago. I took her idea and changed it a bit. I have also adapted it based on whatever I want to teach that year, which makes it great. 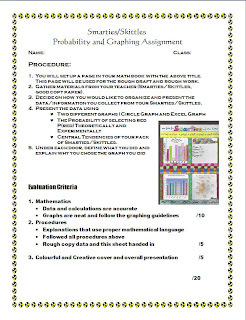 So even though this project may be difficult to connect to the real world and the question math teacher get the most "Why are we doing this", it is a lot of fun for the students. Yes , it is based on candy which immediately gets their attention. I have used this to teach bar graphs, circle graphs, central tendenciesExcel, theoretical and experimental probability and even stem and leaf plots. The kids really seem to enjoy it and are generally interested in the results. 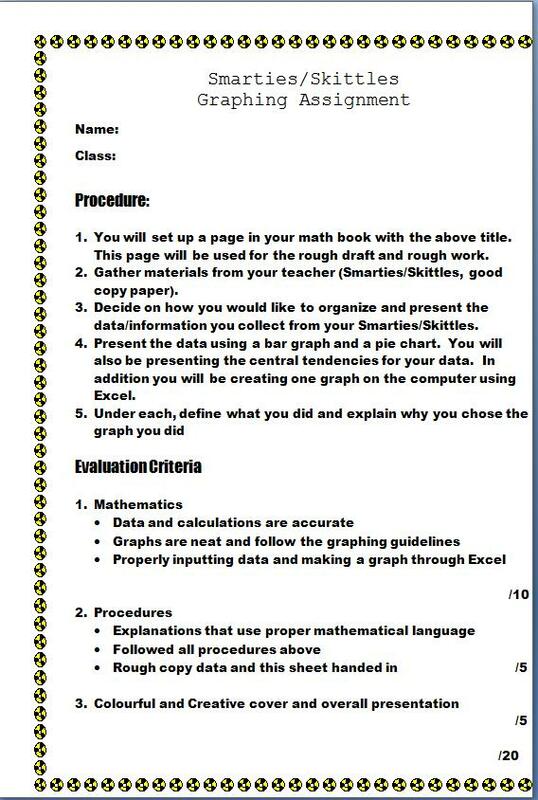 Here are the basics - bring in a box of Smarties or a bag of skittles. Some students bring in huge family size bags but only an individual package is necessary. 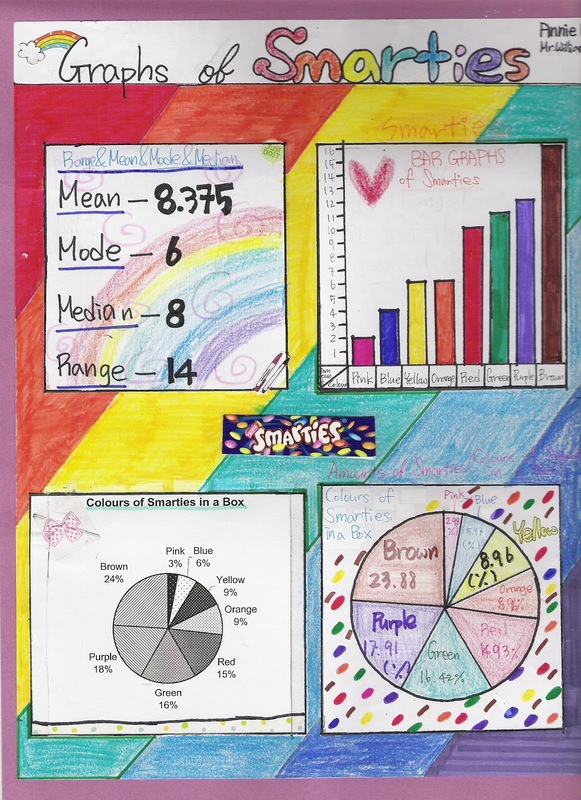 There job is to graph the different colours that occur in the candy package. Using probability I will ask them the chances of reaching in and grabbing a red one. Or have them experiment on how often a red one comes out. Yes it is silly but the kids get into it and learn because of the candy. The display that they put together will have four graphs. 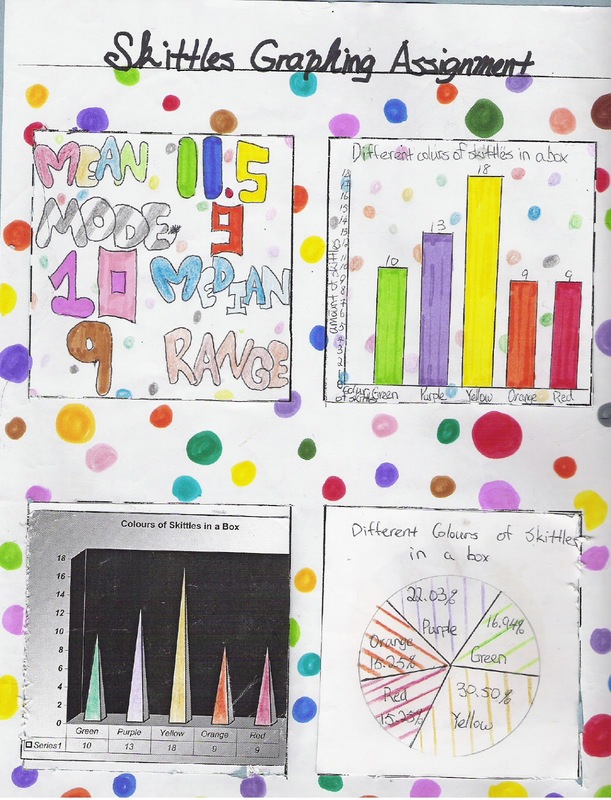 The graphs open up and underneath the student explains the style of graph on top. The can explain the data or explain the purpose of that style of graph. 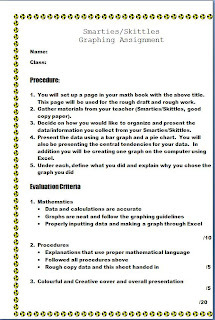 Below are the criteria sheets I have given out. I have them available here if you can't wait. Smarties/ Skittles Graphing or you could email me and I will try to send them to you when I get a chance. The beauty of doing this project is that I allow them to eat the candy .... once the assignment is turned in. I hold onto it because I make them bring in a ziplock or paperbag with it so we can use them for more than one day. I lock up their candy for "safety" and then usually give it to them once the assignment is done. Suddenly the trouble with incompletes is not much of an issue. 1. You will set up a page in your math book with the above title. This page will be used for the rough draft and rough work. 2. 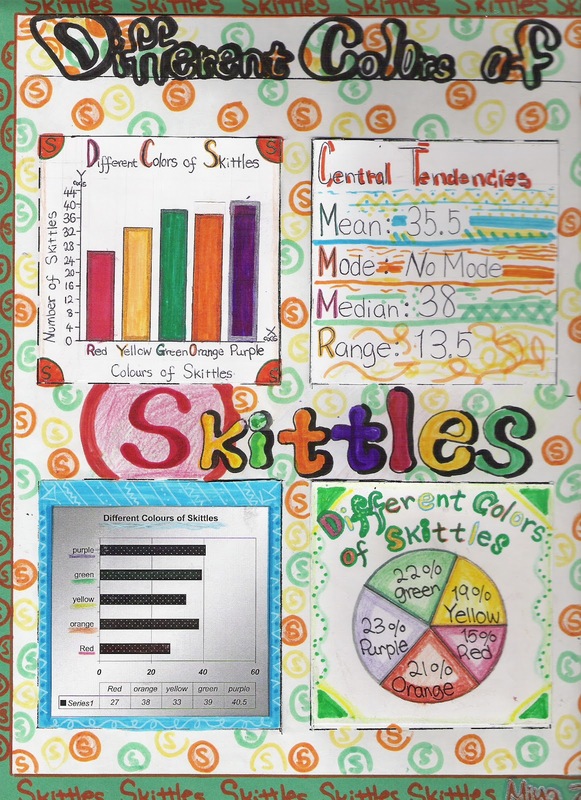 Gather materials from your teacher (Smarties/Skittles, good copy paper). 3. 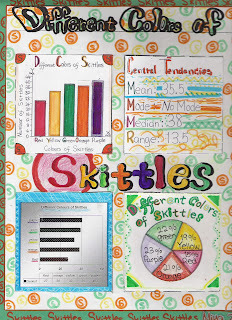 Decide on how you would like to organize and present the data/information you collect from your Smarties/Skittles. © Central Tendencies of your pack of Smarties/Skittles.